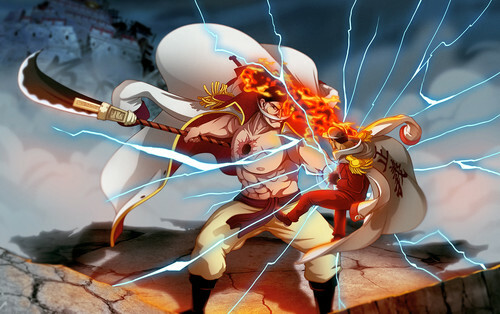 Whitebeard smashes Akainu. . HD Wallpaper and background images in the One Piece club. This One Piece fan art contains bouquet, corsage, posy, and nosegay. There might also be abricot japonais, mei, and prunus mume. *Sighs* Happy thoughts, happy thoughts.